I went to Trieste, Italy with the International Master in Management participants for this year’s International Business Trip, hosted by the MIB School of Management. The trip was designed to provide insight into the Italian business environment and demonstrate how local managers work to define their global strategy. I now understood how the local art and history influences the Italian way of doing business. The intense five-day program was filled with lectures, activities and daily corporate visits to world-renowned companies. As a coffee lover, my favorite company visit was illycaffè SpA. This family-owned business is a trademark of the Trieste area, and the quality coffee beans it uses are widely regarded as top of the line. During the visit, we toured the production plant, tasted various coffee styles (even ice cream! ), and attended a presentation on the corporate profile and strategy of the company. At the end of the tour, we had the opportunity to meet Mrs. Daria Illy, member of the Family Management Board, who shared some of the secrets to the company’s success. Other particularly interesting visits were made to Caligaris –a top furniture producer–, Fantoni –a leader producer of PDF panels–, and Villa Russiz –a winery surrounded by a beautiful landscape. The lectures and extracurricular activities during the trip encouraged us to integrate with MIB students in order to extend our network. In the annual MIB-EADA Football Challenge, both the male and females teams made their best effort, and although most of all the women were amateurs, the fight was intense. In the end, EADA kept the annual tradition, beating the MIB students. This Football Challenge –and activities like it— was an integral part of the trip, bringing the EADA community closer together and integrating the MIB students. For me, the trip was an unforgettable experience, not only from an academic and professional perspective, but also because I had the opportunity to celebrate my birthday over a traditional Italian dinner with all of the programme participants. 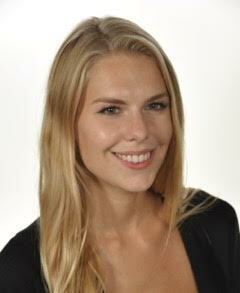 Julia Iwona Madej is a current participant in the International Master in Management at EADA. She is from Poland, where she majored in communications and international studies and minored in Spanish.